The team is currently camping at Mandya. After finishing the shoot for a duet song last week, the team of Bangara S/oBangaradha Manushya is currently camping at Mandya. They are shooting for the next song, which is all about celebrations. 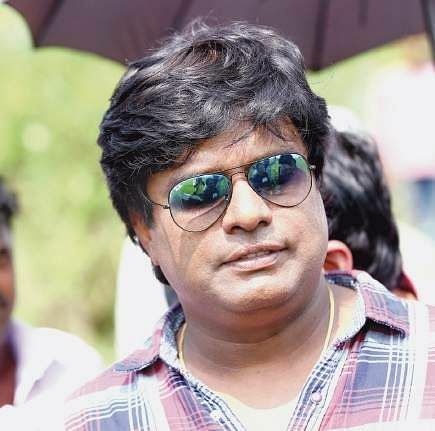 Director Yogi G Raj is excited to have his lead hero Shivarajkumar, Vidya Pradeep, Vishaal Hegde, Sadhu Kokila, Chikkanna and the entire cast in one song, and about shooting in the midst of lush greenery. In a conversation with City Express, the director talks of his last leg of shooting. “There is no comparison in terms of story or content of Bangarada Manushya and to my Bangara S/o Bangaradha Manushya. I dedicate my film to all the farmers of Karnataka and across the country. The film is meant to connect the audience, heart and soul, to the agriculturist, without whom all of us will cease to exist. This song Thenege thene sihi muthu, hosa gaali beesuvaga... bevara hani namgothu... raitha namma thayiyanthe... avana aasti negilu, written by Dr Nagendra Prasad is specially for all of them,” he says. The director recalls his younger days, when he spent time in villages. He says, “Though I was born in the city, I was brought up by my grandparents and I spent most of my younger days in villages. Having grown up watching the farmers, I connect with them and understand them well. So, when I chose to do this film, my choice was Shivarajkumar because I was confident of connecting my story through him. Along with the hero and heroine, the song will feature 250 junior artistes and 100 dancers. The art director has tried to capture the village atmosphere and has brought in 15 tractors and bullock carts as props. “This is a pre-climax song and its choreography is geared towards festivities,” says the director. The director says, “People who have seen the rushes of the film and its stills believe it to be just another commercial film with elements of glamour but, once they watch it, they will think differently. Though I cannot reveal the storyline, all I can say is that the film deals with farmers’ problems and which have been around for ages. In a nutshell, Bangara... is all about man and society,” he mentions. A few senior actors, who have worked with Dr Rajkumar, will make an appearance in the movie. It is to be one of its highlights. “We have actors such as Srinath, Srinivas Murthy, Shivaram anna, Honavalli Krishna, Brahamma and Kulli Jayakka,” he says. the film produced by Jayanna and Bogendra has music by V Harikrishna and cinematography by Jai Anand. 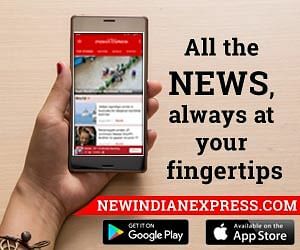 Lok Sabha Elections 2019 Phase II: Actors, politicians have exercised their franchise, have you?